So, I found this recipe on Pinterest. I am always on the lookout for great GF bread. This recipe shows pictures of the bread bending without breaking! This I had to try. I would say it is comparable to my Challah Bread, but with a lot less eggs. Anyway, it had a ton of ingredients and one of them was this egg replacer. This stuff is like $7 a box and I had a recipe that calls for it and I was not going to invest that much money into a “give it a try” recipe. I did a search and made my own. Huge savings over the box at the store. Mix all this together and store in a container until ready to use. I don’t have directions on how to use this as an egg replacer per se, because this was just used as a kind of rising booster in the recipe I made it for. As I write this the sun is shining! Oh, the sun, how I have missed it this past week. It is still chilly but the sun makes it bearable. I hope the sun is shining where you are and you are enjoying it as much as I do. Getting back into the swing of things after the holidays has been a challenge for me. I’m pressing in though and finding some success. I’m hoping this week will be a more “normal” week back in the routine of school and household. I did make my monthly menu plan and even went into February a bit so feeling success in that area….it’s the small things. I’ll take it where I can get it. I made some Oatmeal Cookies this past week and some for my mom with raisins, next time I think I will make them with raisins and dark chocolate chunks. They will be reminiscent of the Kashi Oatmeal Chocolate Chunk cookies that I used to get. I also made some Maple Nut Granola, I changed that up a bit, I can’t really tolerate nuts now so I used pumpkin seeds instead. It was a tasty change, that I enjoyed, though I do miss pecans which was my favorite nut. Thanksgiving eBook available for purchase here. I found these by chance at Walmart and I was delighted, not only at the taste but the price too…$1.48 for 3 ounce bag. They are very crisp, light and full of flavor, a little spicy. They also had plain sea salt crackers, I haven’t tried them yet. I found them on the aisle with the regular crackers. Check out your own grocery and see if they have them. Happy New Year – the last couple of months have been so busy. I am off to a really late start on pretty much everything. I still have to make my menu plan for the month. I will work on that this week. I was out of town for five days and just got back on Monday. Spent all day today getting everything straightened around… unpacking, cleaning, laundry, packing up Christmas decorations, still not done with that. I don’t typically do New Year’s Resolutions, but I do have some goals I’d like to reach this year. Did you make any resolutions or goals? Do you usually, and if you do, do you usually keep them? I don’t have a menu planned, exactly. But, I have a few things in mind for the week. 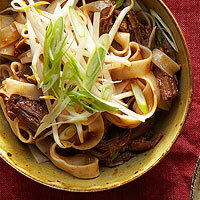 I saw a recipe in Every Day with Rachael Ray for Low and Slow Chipotle-Maple Beef, I think I will give that a try. I also pulled a whole chicken out of the oven and will probably roast that in the oven. I will use the leftovers for these (if there are any) to make another dish each and probably a soup with the chicken bones.